A recent news article reported a tragic story of a 12-year-old girl who was stabbed 19 times by two classmates, also 12-year-old girls, and who amazingly survived. Apparently, the incident was the end result of a murder plot hatched by her attackers out of online role playing associated with some guy’s sick website. Reflecting on the awful incident unexpectedly connected my mind to a neighbor I had once who started a project to raise peaches, but ended up only raising yellow jackets. You know what yellow jackets are, don’t you? They’re those irritating little wasps that fly like they have some kind of spastic disorder in their steering mechanism. They’re especially bad in the fall, and can drive you nuts, because they’re hard to swat, and when they sting you, it feels like you’ve been injected with an inverted traffic cone dipped in alcohol. Anyhow, my neighbor really never intended to actually feed and raise yellow jackets. He thought he was going to raise peaches and, at least in principle, he did, but virtually all of the nourishing benefit from his little peach tree went to support and promote the bees instead. Anyone going near the tree quickly discovered that there were at least a hundred members of the yellow jacket air force that would fight to the death for every molecule of those gnarly looking little peaches. Engaging in chemical warfare with them may have been an option—his bug spray vs. their venom, but my neighbor concluded that sometimes winning just isn’t worth the trouble and potential pain, so the bees won and assumed ownership of the peach crop. My neighbor’s efforts to produce some beneficial and nourishing fruit evolved into little more than an exercise in frustration and futility. The very object of his efforts, i.e. the peaches, ultimately served only to feed and perpetuate the cause of his distress—i.e. the wasps. In the end, his peaches were lost, and never provided the nourishment and blessing he hoped for. Growing up on a little family farm, I learned that there’s a side effect associated with planting and growing the stuff we needed for our food. We never planted anything that something else didn’t want to eat as much as we did. Here’s the point – and a principle we would do well to remember. Fruit attracts anything and everything that can feed on it. Our little farm was surrounded by creatures that had their eyes on our fruit from day one, and every one of them had his own set of harvest plans. My neighbor and his family were not the only ones around who liked peaches. There was an assortment of birds, bugs, wildlife, and, of course, the yellow jackets, to whom that peach tree was a neon billboard announcing ‘Free Lunch’. “By this My Father is glorified, that you bear much fruit; so you will be My disciples…” (John 15:8 NKJV). Then He followed that up with this, “…You did not choose Me, but I chose you and appointed you that you should go and bear fruit, and that your fruit should remain” (John 15:16 NKJV). The production of fruit is never the end of the process in God’s design. In many ways, it is only the beginning. Fruit, whether peaches or people, holds within it the reproductive seed—that incredibly profound capacity of a thing to create another one of itself, and to do so in numbers that far exceed its limited singular example. But that’s not all. Fruit has within it the capacity to nourish, to bless, to strengthen, and to sustain those who might ingest its substance. Herein lies both the potential for great benefit – and a source of great challenge. But remember … fruit attracts anything that can feed on it. Regardless of the kind of fruit involved, others exist who may want it as much or more than the one to whom God gave it, and who will go to extraordinary lengths to control access to it. Let’s be clear. We aren’t just talking about peaches and bees now, are we? The ‘fruit’ we’re concerned about here doesn’t grow on a tree, and isn’t an ‘it’. The fruit here is our children. God sent us to reproduce, physically and spiritually, and it is that fruit that cries out for protective attention. Like my neighbor’s peaches, our ‘fruit’ is born into a world where the very atmosphere is filled with predators who will fight us for access to every one of them. Our precious fruit attracts those who want to claim them as their own, to feed on them, and who will attempt to separate us from them. Like the yellow jackets, the distributors of evil are elusive and wildly aggressive. They have the capacity to intimidate us, to hurt us, and to overwhelm us. They will seek to establish possession and control over our ‘fruit’ in a way that divides us from them and renders us helpless. If we fear their threats and back off and abandon what God has given us, then our efforts have been wasted, and the predators have won. Tragically, the ‘yellow jackets’ often seem more willing to expend energy and take risks to claim our kids than we are to defend them. God gives the fruit, but it’s our responsibility to protect and preserve it. The cost of securing them, or of freeing them, from the power and control of voracious predators may be high, but even if it costs our lives, the ‘fruit’ in this case is worth it. This coming Sunday is Father’s Day, and it’s a good time for all of us to remember where the leadership lies in defending our vulnerable kids from the swarms of predators. Our homes and our kids are vulnerable and our dads should be the first to rise up to protect them from anything that creeps in, flies in, walks in, or crawls in to claim and then devour them. Those girls I mentioned earlier are somebody’s fruit—certainly some parent’s fruit, and maybe the fruit of some church’s youth department, as well. 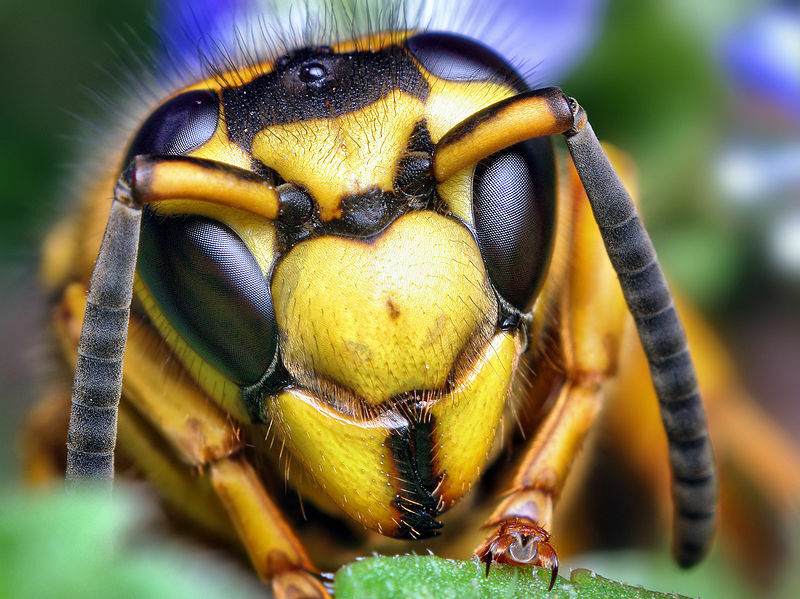 An evil world system, like a nest of yellow jackets, was waiting for them, and ready to go after them the day they were born. Predators depend on our fruit to sustain themselves and multiply their numbers. My neighbor abandoned his peaches because he thought there were just too many bees to fight off, and the little peaches just didn’t seem worth it—so he left them alone and ended up only feeding and supporting a bunch of yellow jackets. My heart breaks as I wonder if we, in our homes and churches, don’t do the same thing sometimes by abandoning our kids, maybe like those girls in the story, because it seems like there are just too many ‘bees’ to fight off. We were sent to bear fruit, but let’s be careful that once that’s done, we’re ready to engage the fight that follows. God help us not to end up like my neighbor, only bearing fruit to feed and support another nest of yellow jackets. © 2014 Gallagher’s Pen, Ronald L. Gallagher, Ed.S. All rights reserved. This entry was posted in Faith, Family, and Culture, In the News, Insights, Wake Up Calls and tagged Father's Day, Holidays. Bookmark the permalink. Thank you Ron. Another outstanding thought-provoking and encouraging piece.